Gerald J. Mulvey, Assistant Professor, Department of Atmospheric Science, Environmental Science and Physics, University of the Incarnate Word; K. Allison Mulvy, Graduate Student, Department of Education University of the Incarnate Word. Adobe brick, which is also known as sundried mud brick, was widely used as a building material in the 1600s through the 1800s particularly in West Texas. It was a readily available and inexpensive material that was easy to make and provided good heat insulation. A protective outer coating comprised of a water-resistant material reduced damage caused by rain erosion, moisture absorption and dust storm erosion. While many of the historic mud brick structures across Texas have degraded with time, several have been preserved and restored to their original form. Two excellent works have analyzed the use of adobe across the southwestern United States. An annotated bibliography by Newlan 2 contains an excellent description of adobe architectural techniques with a historic perspective, and a descriptive survey methodology. The National Park Service NPS Preservation Brief #53 is a second excellent reference for adobe construction techniques. There are lesser known but still important historical structures, continuing new discoveries, ordinary buildings and even new buildings that incorporate adobe within them in Texas. In this paper, a description of adobe brick examples used in San Antonio is presented. (in hieroglyphs 5.) These bricks were used as a building material for both homes and tombs. Mud has been use as a building material by Native Americans and Native Mexicans for at least 1000 years. They use a slurry mixture of mud and straw applied to tree branches, logs and reeds closely formed and arranged vertically together as chinking or a plaster over the wooden structure. They also used a technique called puddling which involved building with layers of moist mud 20.3 to 25.4 centimeters (cm) deep on top of previous dried layers6. The formed sun-dried mud brick also known as adobe was brought to the Americas by the Spanish during the 16th century. The Spanish learned of the sun-dried mud brick as a building material from the Moors who invaded parts of Spain in the early part of 8th century. The Spanish word Adobe was derived from the Arabic al-tub al-mujaffaf bilshams (sun-dried brick) 7 They in turn derived it from the Coptic tōbe8. The history of sun-dried mudbrick stretches back millennia in multiple locations around the globe. Adobe bricks were and are widely used as a building material across the Middle East and northern Africa as well as other regions around the globe. The composition of this brick varies from region to region, but most mud brick is composed of clay, silt, gravel and an organic binder such as dried straw or grass. The percentage of each of the ingredients also varies. The traditional mud bricks are made by hand using wooden molds and allowed to dry slowly in the Sun. The adobe brick is molded from sand, silt, and clay mixed with water and a binder material such as dried grass to a plastic consistency. The binder material helps stabilize the brick during the drying process and acts as a matrix to increase brick cohesion after drying for several weeks. The exact composition of adobe will vary from location to location depending on the availability of local materials. The adobe bricks are built into a walls usually using mud as a mortar. Over the years various materials were added to the mortar. 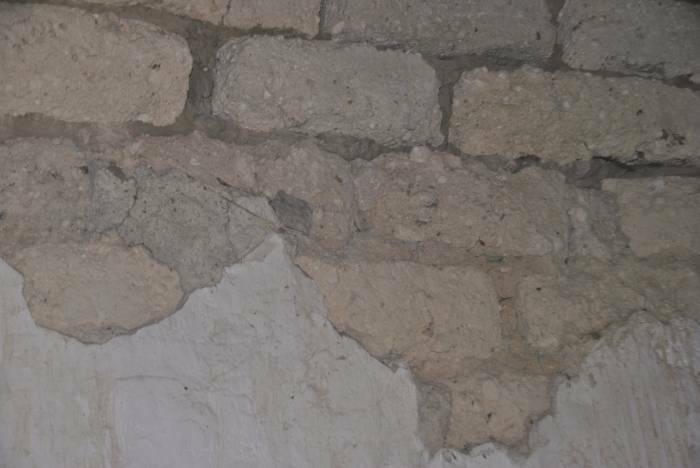 By the 1800s, lime mortars were used and cement mortar was introduced in Texas by the late 1800s9. The inside and outside surface were coated with earth plaster, and white gypsum9. 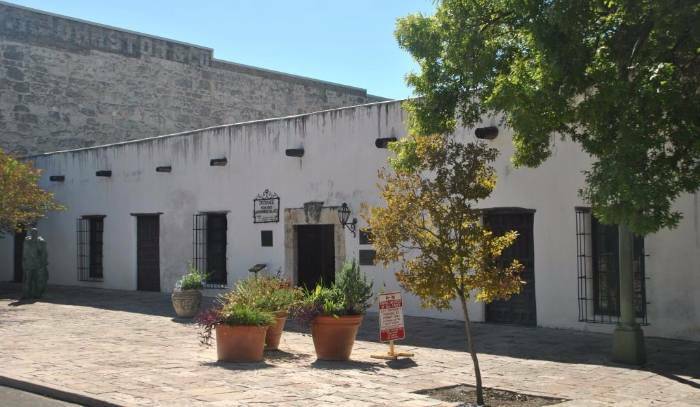 San Antonio has several historic homes built out of adobe including the Casa Navarro State Historic Site. This structure located at 228 – 232 South Laredo Street, was owned by José Antonio Navarro, Texas patriot and signer of the 1836 Texas Declaration of Independence. Figure 1 shows a photograph of the Navarro House. According to the Texas State Historical Association11 the current site consists of three nineteenth-century buildings made of adobe and limestone. Navarro purchased the 0.49 hectare lot in 1832. It had a one-room adobe cottage, or jacal, to which Navarro added an additional house in 1854 or 1855. During this time he also built a two story commercial building. He lived at this home with his daughter and her family until his death in 1871. The identification of the three existing structures, as Navarro’s house, kitchen, and law office, is problematic. Only the identity of the house is certain. Navarro described the buildings in 1870 as his “house” and “the rooms at the corner of Nueva Street.” The two-story structure on the corner of Nueva Street may not have been occupied by Navarro but rented to others. The use of the other three-room building described as “kitchen” has been confirmed only by smoke and grease deposits on the ceiling. The main house has exposed beams, pitched ceiling, adobe walls, and tile floors. Size of the adobe brick are approximately 25 x 10 x 41 cm (Depth-Height-Length. )11 The bricks were set with a lime dirt mortar 12. The structure itself is composed of a combination of adobe brick, irregular sized pieces of stone and limestone. Pieces of limestone were used as chinking13. The adobe used in the kitchen is the same size as used in the house. Brick in both buildings have a similar appearance. The chemical composition of the adobe is given in Table 1. The house walls are about 36 to 41 centimeters thick and are covered with stucco and a lime water paint. This paint called whitewash, made with lime, limestone, water and prickly pear juice has been used as part of the conservation effort to preserve the plaster walls.14 The use of prickly pear juice and the green part of the plant (the Nopal pads) in the mix of the adobe as well as in the whitewash is a common practice in modern day Mexico.15The material helps slow initial drying preventing brick cracking and provides some protection against moisture and rain16. An example of the lesser known historical structures is the Yturri Edmunds Historic Site located at 128 Mission Road. It is owned by the San Antonio Conservation Society. 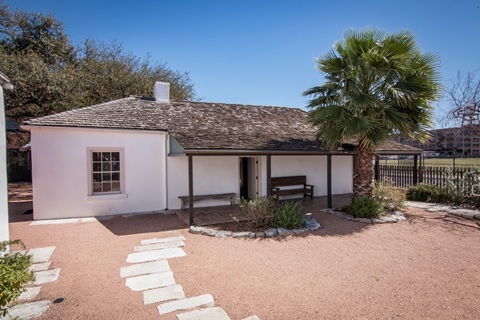 This was the home of Manuel Yturri Castillo, who was an original grant recipient from the Mexican government in 1824.17 This site consists of two restored buildings a home and a flour mill that were built with adobe brick in the 185917. Both buildings have been conserved. Fortunately sections of the original adobe brick walls were left open for viewing, but protected from the elements. Figure 2 shows the restored home. The exterior conservation efforts were primarily resurfacing the adobe with a layer of stucco to seal out the rain and moisture. 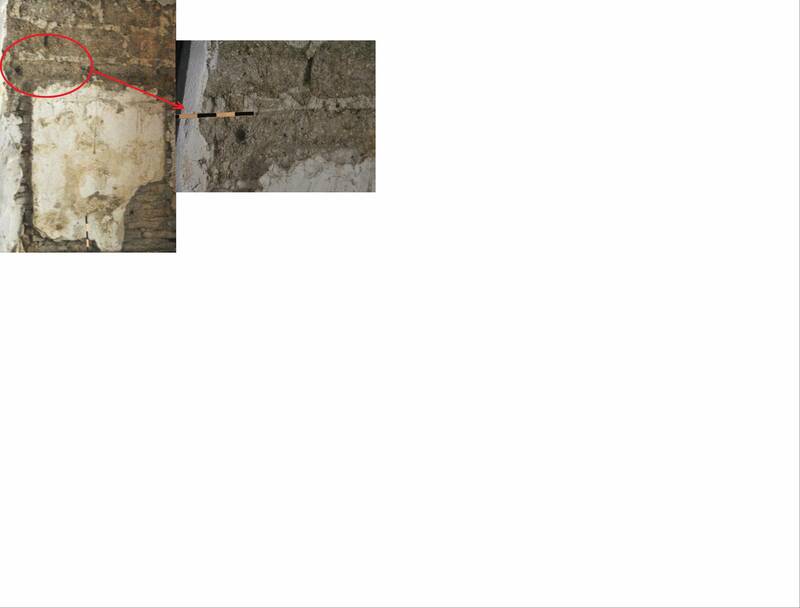 Figure 3 shows the exposed adobe brick in the exterior wall under the porch eve. The adobe bricks used in the house structure tended to have a smooth exposed surface with mortared joints about 0.95 cm wide. The second structure, the mill has a full interior wall exposed for viewing. 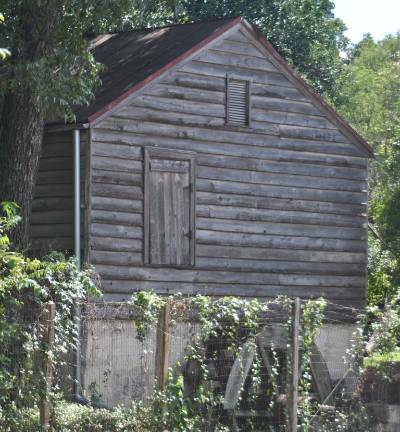 Figure 4 shows the Mill exterior after extensive conservation efforts. The original adobe walls are part of the interior room walls and partway down into the basement. Interesting that the mud brick walls survived given that the mill was water powered with an acequia feed. Figures 5 and 6 show the interior adobe walls. The walls are approximately 45 cm thick. This site is maintained with period pieces as a historical house and mill. Note the brick texture in figures 4 and 5. This texture has a considerable amount of gravel with no traces of any straw binder material. The bricks themselves are rough in edge finish with considerable size mortar joints. The bricks were roughly rectangular with dimensions of approximately 10 by 9 by 23 cm (D-H-L). Mission San Antonio de Valero, better known as “The Alamo”, was built in 1744 by Spanish Franciscan missionaries. The mission’s physical appearance has changed over time. The earliest buildings were of temporary construction and have not survived. By 1727 work had begun on a stone convent, or priest’s residence. This contained offices, kitchens, dining rooms, sleeping quarters, and guest rooms. A portion of this building survives as the Long Barracks Museum at the Alamo. The extant mission church was begun in 1744 but collapsed. A second was begun during the 1750s but not completed with the upper levels remaining unfinished. The mission was left poorly defended by the Spanish government so eight foot high walls defensive walls were built, probably after the massacre at Santa Cruz de San Sabá Mission in 1758. By 1795, the mission was secularized and became a military barracks. It was the scene of the Battle of the Alamo (March 6, 1836)18, during Texas’ struggle for independence. The site served a variety of functions, including quarters for the Second Flying Company of San Carlos de Parras (1803) and San Antonio’s first hospital (1805 to 1812). Between 1810 and 1865 the former mission changed hands at least sixteen times, belonging variously to Spanish, Mexican, Texas, Union, and Confederate forces19. The current Alamo structures are primarily made of limestone walls and only about the bottom 7 meters are of the existing Alamo are original20. Several adobe bricks on the Alamo grounds were recently discovered (July 22, 2016) by Dr. Nesta Anderson of Pape-Dawson Engineering and her archeological team. The bricks were found near what is thought to be the western wall of the Alamo at a depth of approximately 53 cm below grade. The bricks’ condition was very fragile. They “may have been a pier for an arcade with open archways that formed the inner side of the compound’s west wall. More research is needed”21. The adobe brick appears to have a larger amount of gravel and no evidence of straw or grass binder. The two dimensions of the visible portion of the brick are less than or equal to 30 by 15 cm (D-H-L). The dating of the brick is awaiting the evaluation of the data retrieved. 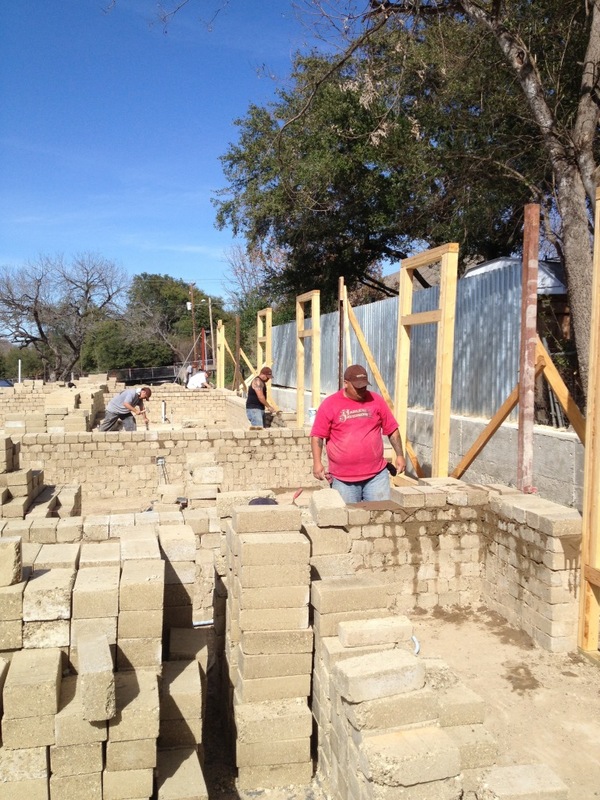 This Spanish era adobe brick is an example of the early history of adobe as a building material used in San Antonio. More information will be available when the archeological team releases their final report. The Alamo is owned by the State of Texas and is administered by the Texas Land Office. Another example of a military structure is the Spanish Governor’s Palace (105 Military Plaza). This structure was most likely the home and office of the Captain of the Presidio of San Antonio de Bejar. The structure was first constructed in 1722. The current structure has seen many additions and modifications during its history with later additions in 1749, the late 1700’s, and in the late 1800’s before the most recent was restoration concluded in 1930. The earliest room is the Captain’s office in the north east corner of the building. It has been dated to 1722. 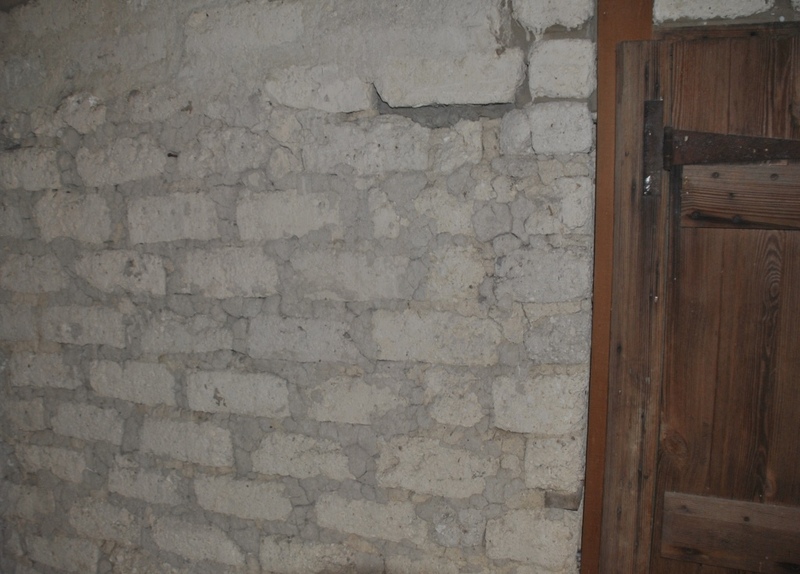 This room was built using adobe brick. Most of the subsequent construction used stone rubble. Part of the adobe wall was left exposed on the inside of the building behind a glass plate. 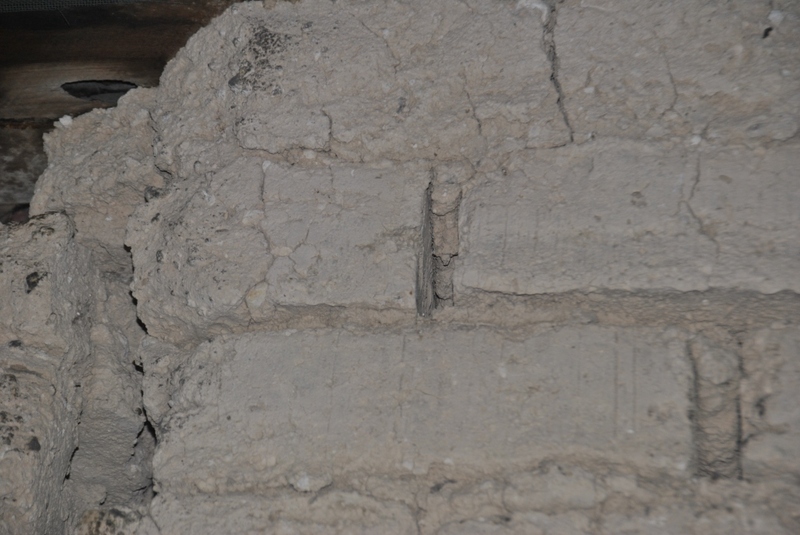 Figure 7 shows the exposed adobe brick. Two kinds of brick are visible the first appears to be a thin “puddling” brick. The exposed portion of this thin brick is approximately 2.5 thick and 7.6 to 10.2 cm long. Above that is the more traditional adobe brick the exposed part of which measured approximately 6.4 by 20.3 centimeters, cms (Height-Length). The mortar ranged from 1.3 to 2.5 cms thick. The adobe appeared to have significant gravel content. The exterior and interior was plastered during the 1930 restoration. The current exterior wall thickness is between 63 and 67 cms thick. Figure 8 shows the current exterior structure. The Spanish Governor’s Palace is owned and operated by the City of San Antonio, Department of Cultural and Creative Development. Older neighborhoods sometimes contain adobe structures that have survived for over 100 years and are still occupied as family homes. 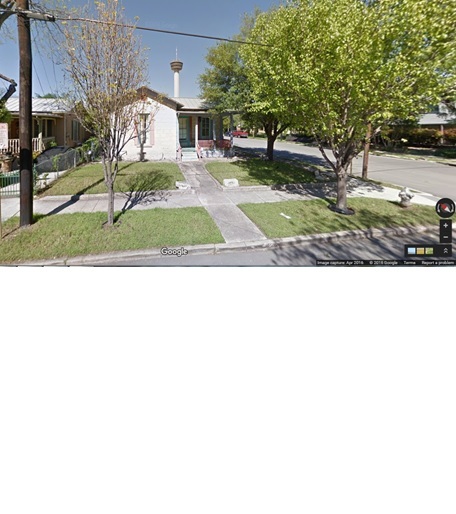 An example of this is in San Antonio’s Lavaca Neighborhood on 129 Barerra Street.22 Figure 9 is a Google Street View of the house. The home was built in the 1880’s and the exterior material was reported to be “stucco over adobe brick”. This small cottage is now approximately 130 years old and still in use today. This home is privately owned. On the modern side, adobe is being used as a sustainable building material with a low carbon footprint. An example of this is a 14-unit apartment single story complex located at 3050 Eisenhauer in San Antonio, TX that was completed in 2013. 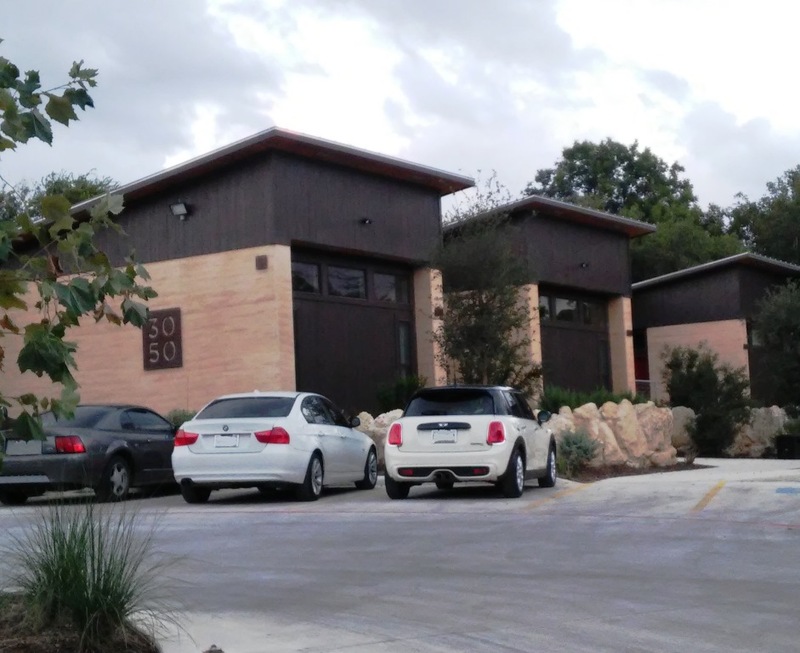 The complex was constructed by Urban Earth LLC of San Antonio. The complex is shown while under construction in Figure 10. The project was built from on-site materials. Lime was added to the block mixture to stabilize the bricks and increase their resistance to rain and moisture degradation. The brick used for the lower 3 to 4 courses also had approximately 7% cement added to stabilize the brick in conformance with the building codes. Then the mixture was compressed under high pressure to remove voids and water. The bricks created were approximately 15 x 10 x 30 cms. (Depth-Height-Lenght) The adobe was used for exterior and well as interior walls. The mud slurry of the same mixture used to make the bricks was used to mortar the bricks together. The interior and exterior wall surfaces were coated with browncoat to seal out the moisture and provide an appealing surface. Finally stucco paint is used on the surface to complete the waterproofing. Apartments range in size from 61 to 98 square meters. The completed complex is shown in Figure 11. Texan earthen block structures have also recently been built in Austin, Willow Creek, Blanco, and Bastrop, and other areas of San Antonio. The apartments are owned by 3050 Eisenhauer Partners, Lp. The size of the bricks varies depending on the intended use, local custom and the easy of handling the weight of each brick. The weight of the historic brick samples were estimated from the calculated density of a sample brick made for this study from local soil and the estimates of much older mudbrick samples23. The brick measured 29 x 14 x 8 cms with a volume of 3248 cc and a weight of 3303 gms yielding a density of 1.017 gms per cc. The density given for the older mudbrick was 1.704 gms per cc. The weights of the historic bricks which were embedded in the structures were estimated to be in the 2 to 20 kg range based on the mud brick density. Sun-dried mud brick has been used as a building material for at least 5000 years. Brought to the Americas by Spanish explorers and missionaries, it has been widely used in the past as an inexpensive, low technology material across the southwestern US states. Structures made of this material continue to be built in San Antonio. Properly maintained structures can and do remain comfortable homes in San Antonio for over 150 years. This ancient technology is seeing a new birth, as concern for the environment, high cost of housing and the cost of air conditioning in the southwest, combine with new understandings of the material and availability of onsite manufacturing equipment. 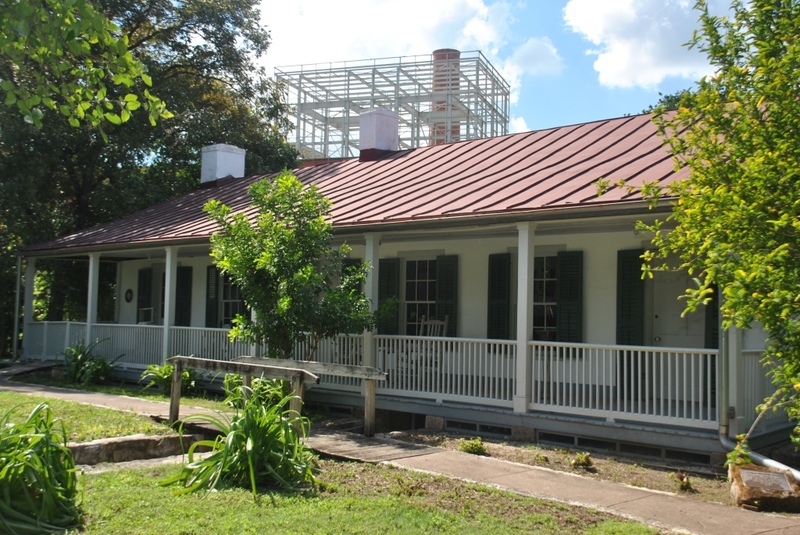 1 The authors wish to thank The San Antonio Conservation Society and in particular Dr. Vincent Michael, Executive Director, for opening the Yturri-Edmunds site to the authors while it is undergoing conservation and for the guided tour of the property. They wish to thank Mr. Nano Calderon of the Texas Historical Commission for providing detailed information on the adobe bricks at the Casa Navarro Historical Site. They wish to thank Dr. Nesta Anderson, Pape-Dawson Engineering, for information on the adobe bricks discovered by her and her team at the Alamo in 2016. They also wish to thank Mr. David Komet of Urban Earth LLC., for pictures of the Eisenhauer Apartment Complex and his insights into the projects construction.